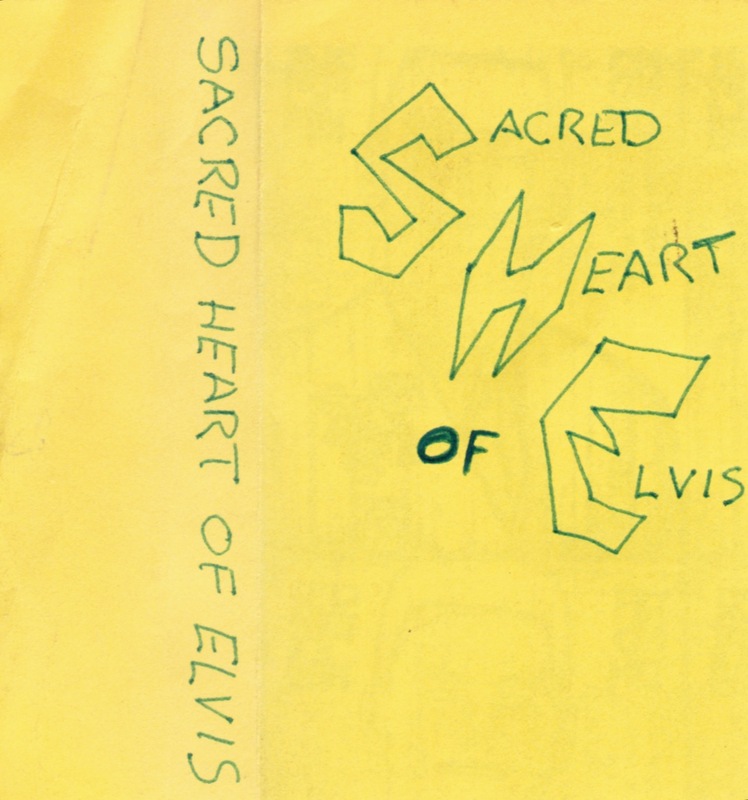 We're a bit embarrassed to be posting a tape from Sacred Heart of Elvis so late in the game here. Our pals at Golden Rock have posted several bits and pieces from the band, but this is the first of their tapes that we've had in our hands. 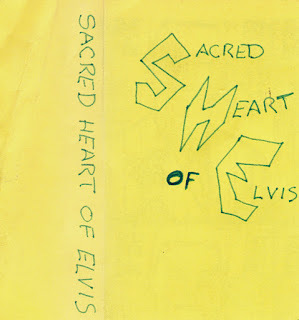 Sacred Heart of Elvis was, at its core, Ali Riley, Rodney Brent and Tim Campbell. We haven't taken our time here at the CCPS to pay out respects to Tim, who passed away this past May - not because of a lack of respect, but because we were never fortunate enough to meet the man. 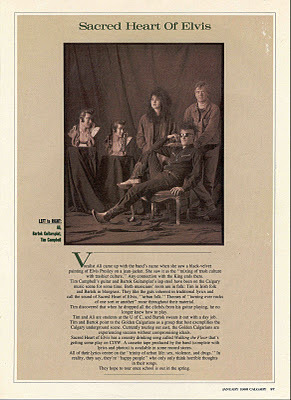 We'll let this obituary from ffwd stand as our second-hand tribute to Campbell's talents and contributions to Calgary's scene.The Golden Rock posts indicate how much of a revolving door the rhythm sections of the band was - this tape finds the Mules' Duane Froslev and Rob Hayter rounding out the band (a side note: we were very lucky to catch the Sacred Heart of Elvis' reunion show at the CJSW 20th Anniversary thing six years ago - for that show, former Puritan Stephen Nykolyn filled in on drums).This is a great tape, highly recommended. We're not sure, though, if it's the same tape referenced in the article above. The recording of "Wheezing Dog on a Leash" on here sounds remarkably close to the one on the documentation-free 90.9 With a Bullet compilation, which could mean just about anything.Get it here.